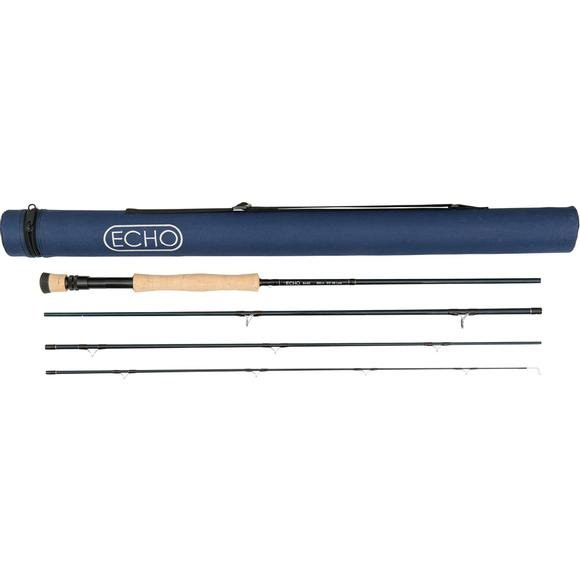 Utilizing the latest materials and technology, Echo crafted a family of rods that'll help the "greenest of greenhorns" toss tight loops like a pro. Whether you're new to the sport, or looking for a solid back-up to add to your quiver, the Echo Base Series 9ft 4-Piece 7wt Fly Rod offers quality and performance for a very reasonable amount of dough. Utilizing the latest materials and technology, Echo crafted a family of rods that&apos;ll help the "greenest of greenhorns" toss tight loops like a pro. Whether you&apos;re new to the sport, or looking for a solid back-up to add to your quiver, the Echo Base Series 9ft 4-Piece 7wt Fly Rod offers quality and performance for a very reasonable amount of dough. This medium-fast action phenom casts "freaky good", and the four peice travel design is perfect for packing when adventure calls. Durable? Yup. Maintenance free reel seat and quality components = years of fun. Grab a new Echo Base Series, and get out there. I was looking for an inexpensive 7wt rod and this one landed in that range. Nice construction, but a little on the heavier side compared to more expensive rods. Casts well and is certainly worth the money considering how inexpensive it is.